Has the probiotic VSL#3 been changed or discontinued? Is Visbiome a good alternative? 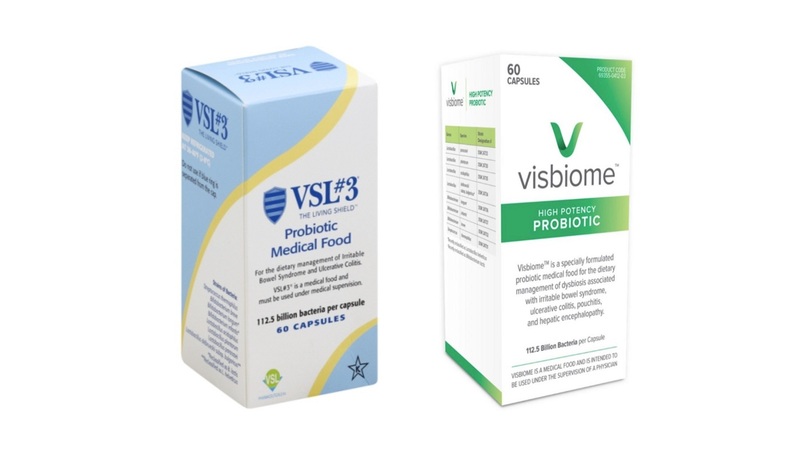 VSL #3 (Sigma-Tau Healthscience/Alfasigma) is an eight-strain probiotic that has been found in several preliminary studies to be helpful for conditions such as ulcerative colitis and irritable bowel syndrome (IBS). VSL #3 is still available for sale; however, it has been the subject of a legal dispute since the inventor of the formula claims the product sold in recent years was inferior to the original formula. He now sells what he claims to be the "original" formula as Visbiome (ExeGi Pharma). For more details, see the What to Consider When Buying section of the Probiotic Supplements Review. Also see our Top Picks for probiotics. This CL Answer initially posted on 3/16/2019.